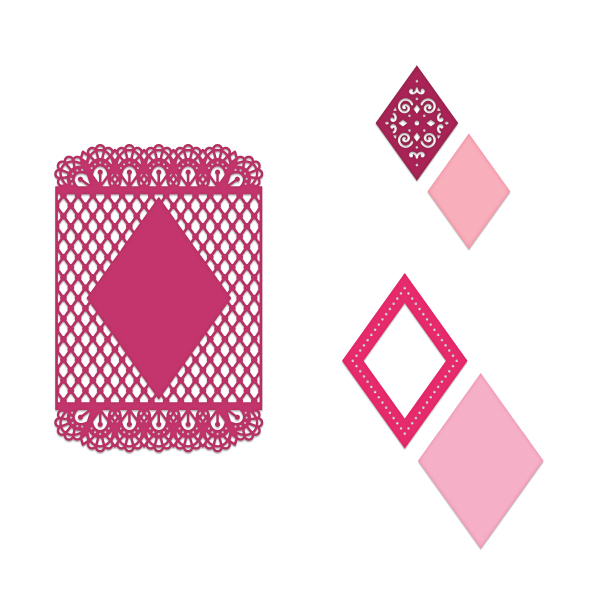 Stylish and stately, the pretty ornamental dies found in the Diamonds & Lace Die are magnificent for adding a touch of class to any paper craft creation! 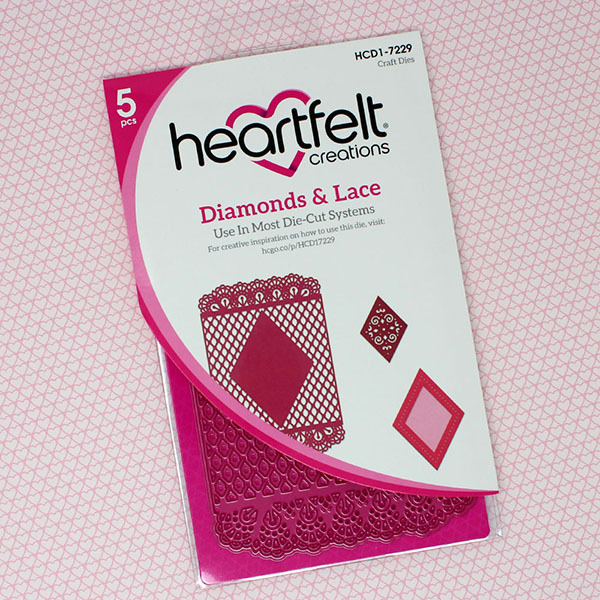 Charming, petite diamond shapes nest together perfectly to create a variety of layered looks, and can be used in conjunction with the larger lace like die cut, or on their own! 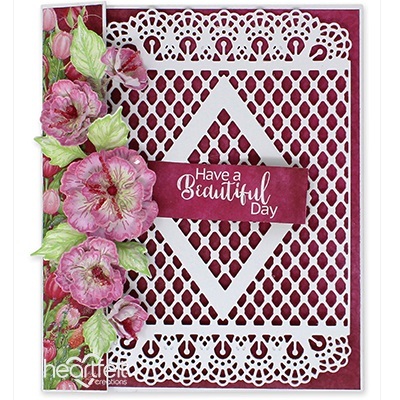 The larger, substantial sized decorative die cut creates an ideal layering base for all of your floral clusters and is perfect for framing that special heartfelt sentiment! A delightful assembling of dies you will certainly reach for over and over again in the years to come!